GoMobile Repair > Uncategorized > Is the iPhone X Dead? 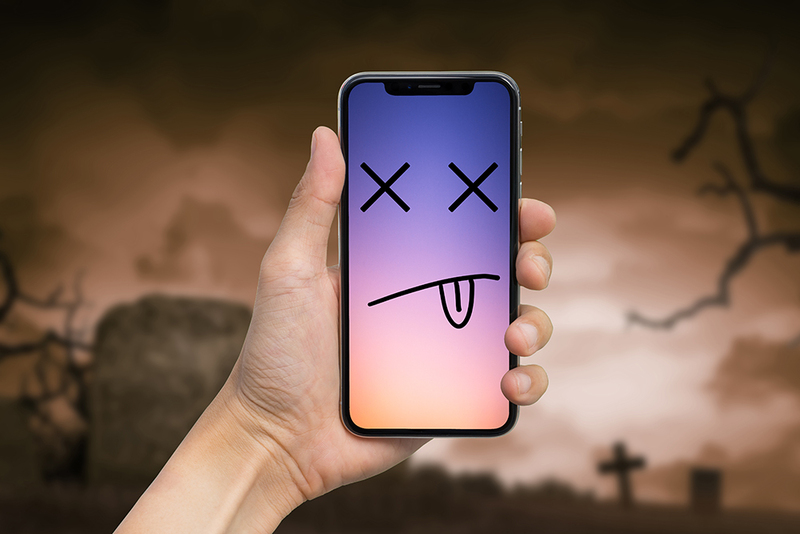 Is the iPhone X Dead? There are analyst reports saying that Apple will stop making the iPhone X this summer when the second-generation launches later this year. The last time this happened was to the ill-fated iPhone 5C! According to KGI Securities analyst Ming-Chi Kuo, Apple would rather stopping manufacturing the iPhone X than lower its price, which could hurt the sale of the newer device. Analyst Neil Campling, co-head of the global thematic group focusing on technology at Mirabaud Securities, offers oversupply of inventory by Apple’s chip manufacturer, Taiwan Semiconductor Manufacturing (TSMC) and the price of the iPhone X (and repair costs!) as other hints to the killing of the iPhone X. As expected, there is no date nor any official word from Apple. If you were hoping to get your iPhone X repair (or just the cell phone itself) at a cheaper price once the next model came out, you might be out of luck. Because of the cost of production, it looks like the first-gen iPhone X wouldn’t actually be that much cheaper to buy than the second-gen, if cheaper at all. We would definitely argue that if this is true, the parts won’t be that much less expensive either. Look, your first-gen iPhone X might become “obsolete” but every piece of technology eventually does (RIP Blackberry Pearl). And let’s be real, your iPhone X is probably just fine and by the time you want to upgrade your phone, the next version of iPhone will have surpassed it anyhow. In any case, we can help you keep your iPhone X protected with cases, screen guards and even have insurance options for if you do break your phone! And if the price does drop on repairs, we’ll be the first to let you know! Here’s hoping the next iPhone doesn’t suffer from the same prices (and crisis!) as the current model. Own an iPhone X? Need it repaired or want to switch it out if the rumours are true? Perhaps you just want to protect the one you have with a bulletproof case or screen guard? Drop by GoMobile repair and let’s chat.